Lazada is turning 5th! I have missed the recent workshop by Lazada and surely would'nt want to miss this contest in conjunction with Lazada Birthday Sale that will take place from March 22 to March 24. The best thing is that they will have crazy special discounts up to 90%! and Lazada is awarding prizes to 30 bloggers during Lazada Birthday Anniversary sale giveaway! That is super wow! Okay come on my blogger friends +FeyLiez +Lady Tash Roy +Shahida Dzulkafli +Ana Suhana +Cik Renex +SITI AWADAH +Jun Zie , let us try our luck and join this awesome contest. The more the merrier. Prizes - more participants means more Winners! and numbers of winner depending on numbers of participants..isnt that awesome? 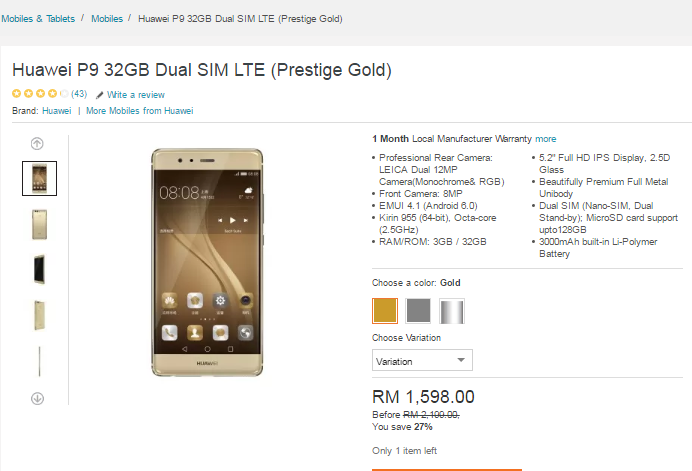 I bet everybody loves Lazada and has been the favorite brand for online shoppers. I can find almost everything in Lazada from home appliances to food, for him, hers too within one single click and the best part is that the free shipping and cod service on most items and not forgetting the sales and promotion that have been going and its is really value for money. As someone who enjoy travelling and working, this gadget is the best companion to capture good quality pictures and able to post and share it on my FB, IG and my blog. As a mother to 6 kiddos and beloved wifey to my husband, this electric oven is a must thingy in my kitchen to ensure their stomach are well taken care with my good cook. 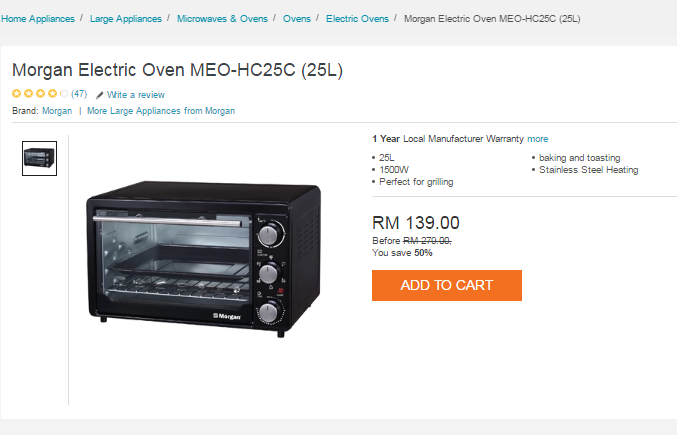 This Morgan Electric Oven is the perfect for me to do grilling, baking and toasting. This machine is another a must thing in my kitchen and this powerful low noise-motor will never make disturbance to my dearies. 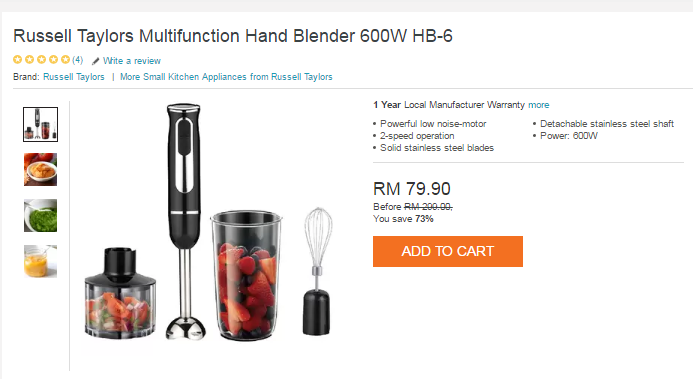 I can make gourmet soups to blending ingredients with this multi-function appliance in my kitchen and can also turned into a whisk and easily making puree, soups, milkshakes, smoothies and mayonnaise when ever I wanted. 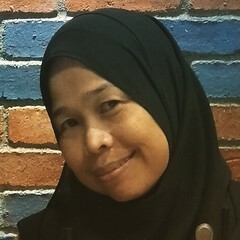 I hope that Lazada will have the option for cash on delivery as not all shoppers have the facility on credit card or debit card and know how to use the online payment also that Lazada will really make sure the quality of the item you are selling as I have a friend who bought a branded handbag but when the item arrived the quality is not as what she expected and imagine when seeing it on your portal. Happy Birthday Lazada! Happy birthday to the most amazing one stop shopping destination and may you be more success in the coming 5th year anniversary and more years to go. I wish that you will stay stunning in providing good quality items, safe, trusted and great service for us! Have a blast birthday! All the best to the team of Lazada Malaysia! 1. The winners will be announced on 27 March 2017 via e-mail. The e-mail will contain instructions on how to claim the prize, which has to occur within three business days of the announcement.